Designed and tested with the world's fastest sprinters. 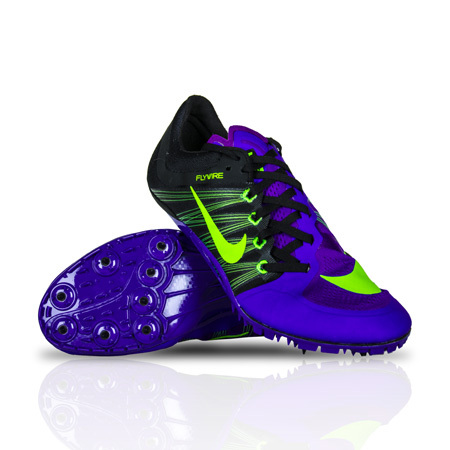 Sprint spike designed for the most support in a minimal and light package. UPPER: Ultra-lightweight synthetic leather combined with Flywire technology provides a glove like fit. MIDSOLE: Low-profile Phylon midsole wedge for cushioning. OUTSOLE: Aggressive and rigid spike plate with eight receptacles and risers.